Between cancelled flights, an onslaught of interviews for a new article, finishing up at work last week and houseparties this past week, the downtime conducive to actually putting a coherent sentence together has been pretty much non-existent. While I haven’t been writing, I have had mouth surgery, made a trip to the emergency room with excruciating chest pain related to an antibiotic I have been taking, barely recovered from that and jet-setted across the country. But I am now back home with very little to discuss that does not have to do with beer — be it the drinking it, the after effects of it, or the new article I’m writing that is all about beer. That said, I left campus again feeling like I finally had a clean slate to start next year on, summer funding secured, a new major that I am actually excited about, and a lineup of junior paper topics that I can’t wait to start thinking about (someone studying for finals right now, feel free to punch me in the face here). It’s disconcerting going back to campus. The lawns are still pristine, the grass cut, the walk to the Street still feels like second nature. It’s like it has stopped in time. Sure, someone may have a new boyfriend and someone else may be about to graduate, but otherwise not much has changed. It brings a new definition to the “Orange Bubble.” I took a trip in New York City one evening to meet a friend I had met in Paris of all places. As I stepped out off the escalator of Penn Station and the world screamed and pushed around me, I was reminded of how much comfort I found on my trips to the city during school (though they were not many), because the city actually feels like life. It makes even a city girl, born and raised, feel like she just left the farm for the first time. But today is not for beer drinking, rather it is for margarita drinking and taco eating and and and it’s Cinco de Mayo!!! Okay, so this isn’t actually a margarita and it’s actually lemon, though I’m sure it would work with lime as well, but it still fits the theme because — and really listen to this — all you have to do is throw a lemon in the blender with some sugar and there you have a tart. Genius. 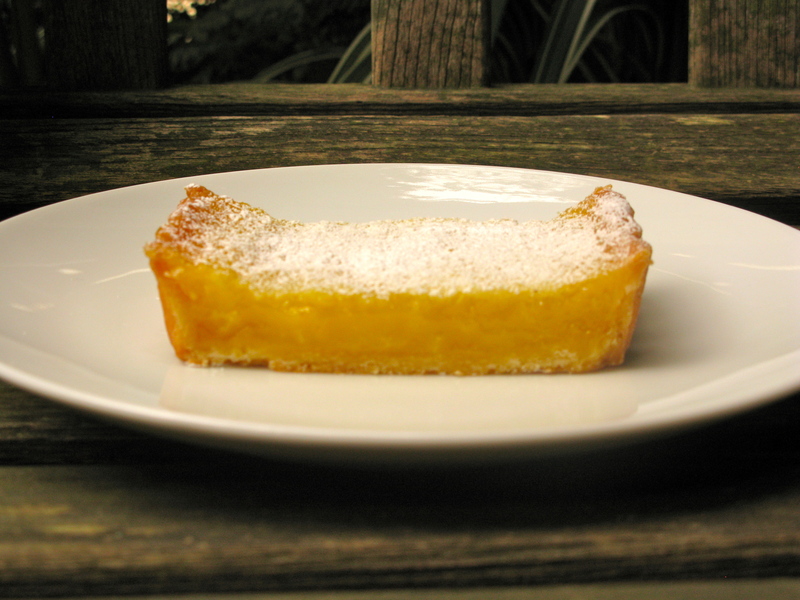 This is a bit different than your standard lemon tart as it actually tastes like the whole lemon, rind and all. It’s a bit scary to throw the whites of the rind into a tart filling and I admit I wasn’t completely sold on first bite, but once the tart cooled and chilled, I really changed my opinion on it. I’m not sure I’m willing to leave my dearest lemon curd behind, but make this version at least once as a novelty. Throw lemons and sugar in blender or processor and pulse, blend and scrape down sides until you have smooth consistency. Add the eggs, egg yolk, butter and cornstarch, and pulse and blend until filling is thoroughly mixed. Pour the filling into partially baked crust. Carefully transfer baking sheet to oven. Bake for 20 minutes, then increase oven temperature to 350 degrees F and bake tart for an additional 25 to 30 minutes. Don’t be alarmed when filling starts to bubble up. Tart is baked when the filling is set, but still shaky in the center and top has a sugary crust. Don’t worry if it bubbles some, mine overflowed and the fire alarm went off. Transfer tart pan to cooling rack and let cool to room temperature. Serve with a dusting of confectioners’ sugar. 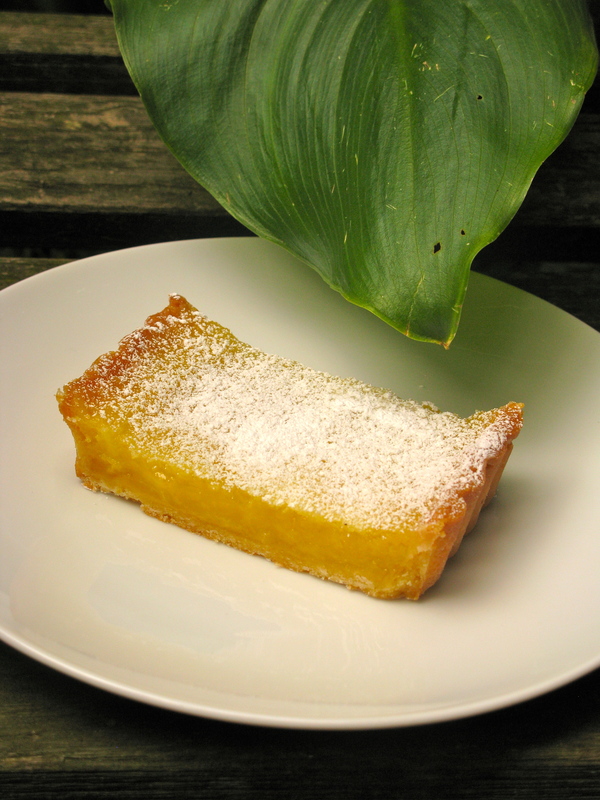 You are currently reading Whole Lemon Tart at Soufflé Days.